Sheesam wood, aka Indian rosewood, is known for its durability and solid body style. This dugout features a 2 toned stipe of bothe light and dark wood graines making a spectacular design. 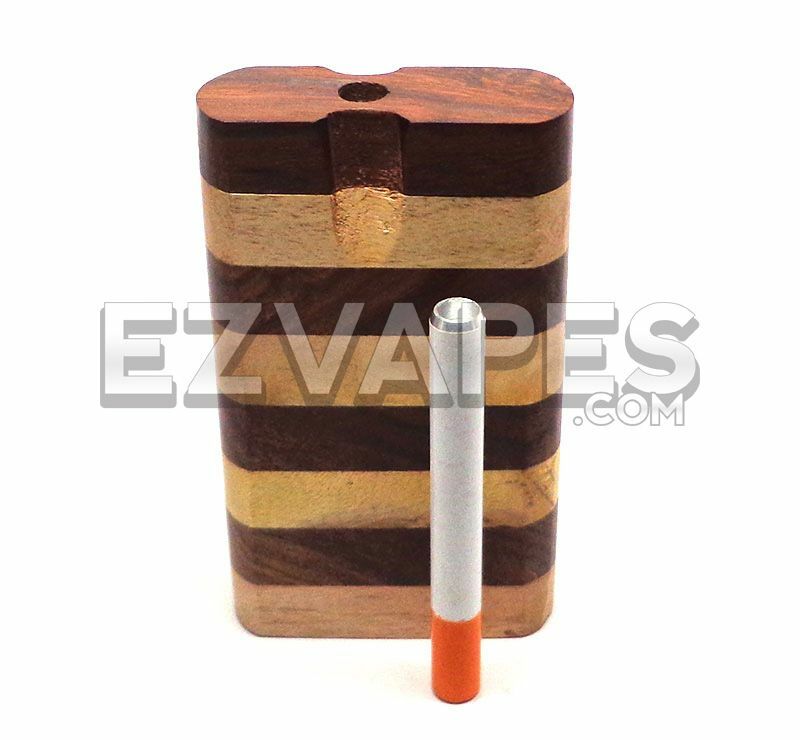 The striped Sheesham wood dugout opens to expose a storage area and a one hitter bat inside. For use with legal smoking blends only.